. 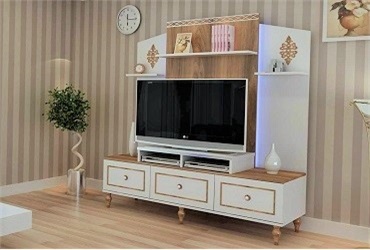 ::Raudi Modern Furniture Dining Tables Chair Tv Countertops Carpet Types World's Masters ::. 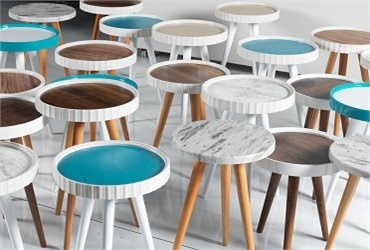 Raudi tables provide you %50 more space when you need ... And it does it very elegantly and quietly. Click for virtual reality tour and see our new models in reality. We add value to comfortable living spaces with innovative and environmentally friendly products that meet all expectations with our new colors at the highest level. 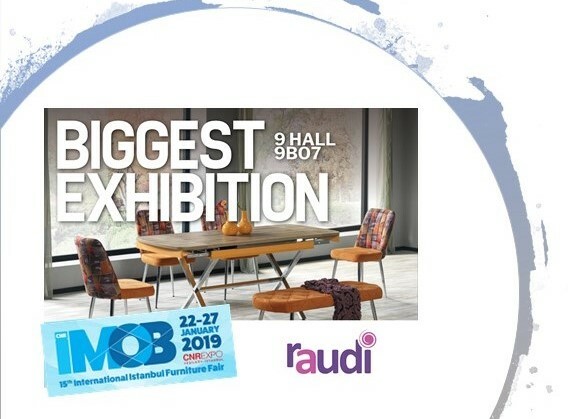 Whether you are looking for a foldable kitchen table to save space in your kitchen, or a large dining table where all the large family members can sit comfortably, there's everything in Raudi. 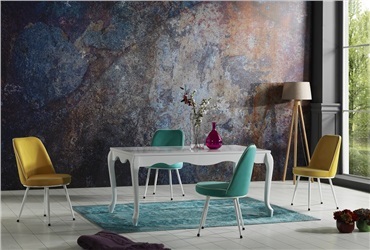 If you are looking for a stylish wooden chair to complement the decoration of your dining room, or a metal chair with a matching modern line, we recommend you to take a look at chair models. We offer the ideal choices for those who want to enrich the decor by using the walls of the house. With its partitions, the mosque creates a compact image. The materials used do not contain carcinogenic substances and are antibacterial. Chester sets is our most comfortable series especially to take rest after tiring day. Relax with design and comfort... Kitchen, Bedroom, restorants, hotel or weherever you need. 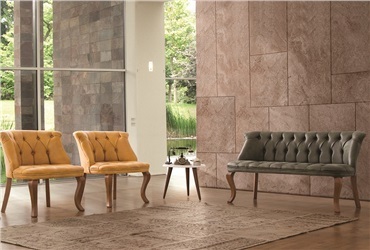 Apart from furniture manfacturing factories raudi is a distributor of Pierre Cardin Carpet distributor for exact region about 20 cities such as, Diyarbakir, Van, Erzurum, Sanliurfa so on. The most important value of human resources to bring to the Raudi Furniture believes that the task of quality manpower with knowledge and skills required by the constitution has been adopted as a policy Human Resources. 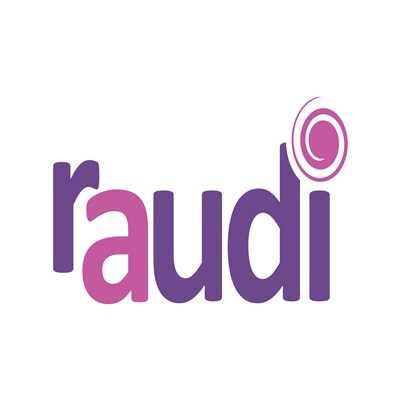 Raudi Logo revised Raudi revised logo that started to use at the year 2008. With new logo that will be easy to print logo at banners. Labor Minister visited Raudi Deputy Minister of Labor and Social Security Orhan Yegin visited Raudi factory. Minister carefully checked production line and tested products mechanism. Minister felicitate Raudi for innovatif products and designs. 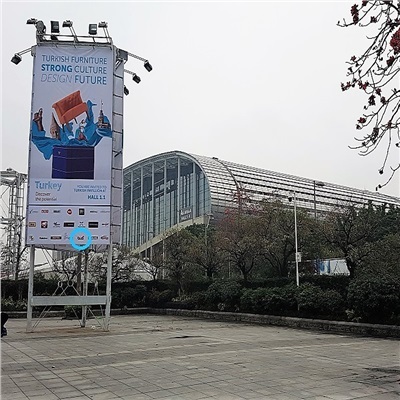 Shine Like a Diamonds Istanbul Furniture Fair (IMOB 2017) held at CNR-Expo fair complex between 23-28 January. 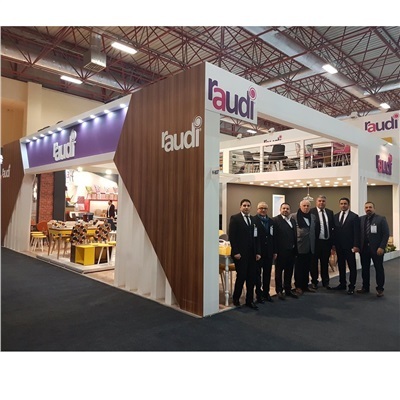 Raudi located at that Turkey most prestigious fair at Hall 1. No:A01 with 115m2 area. 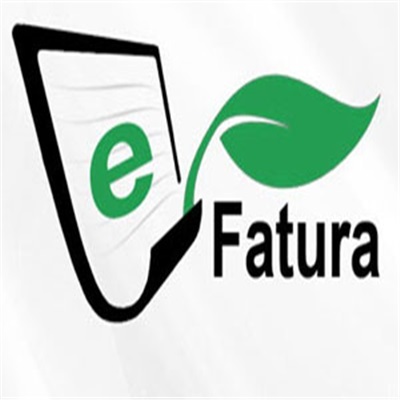 Our new website has been published To provide a more comprehensive service to you and to our website to obtain more detailed information about our products, we have renewed the mobile compatible. Pierre Cardin Smart Carpet Nano technology has begun to penetrate every aspect of our lives. The Naksan Group, which brought together Turkey and the world with many firsts on the carpet, managed to implement the most advanced nano technology in Pierre Cardin Carpets. 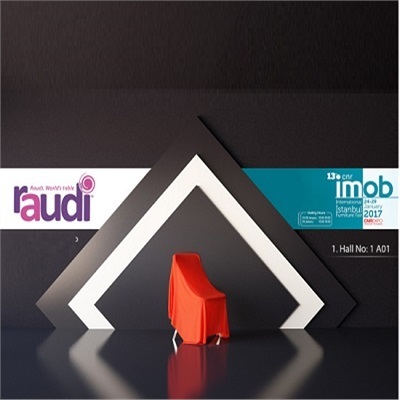 We were the observer of IMOB 2016 IMOB exhibition, visited by more than 150 professional visitors, including 35 exhibitors, is shown as the second largest furniture fair in the world with both the number of visitors and the number of exhibitors. Our company has participated in this..
Related department will get back to you as soon as possible..